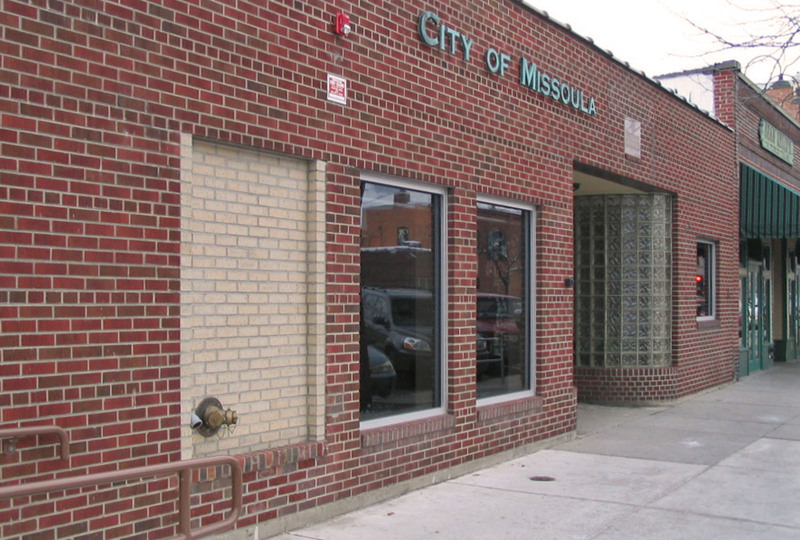 In historic downtown Missoula, a former Moose Lodge bar and restaurant now holds the Missoula City Council Chambers and the Missoula Redevelopment Agency. 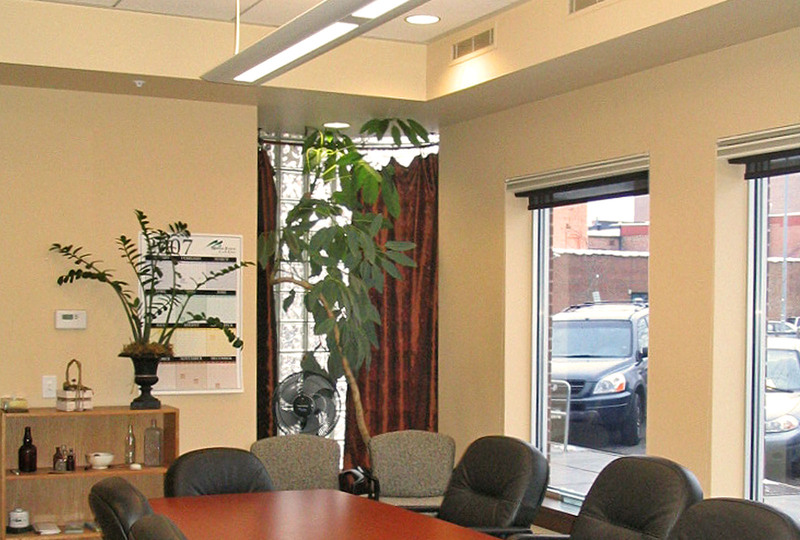 While the exterior required little work, MMW drastically modified the interior to bring life and warmth to the spaces. 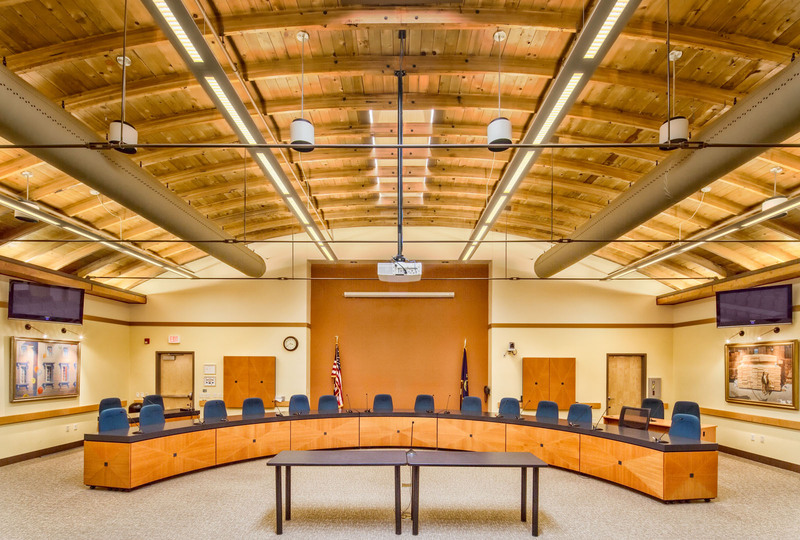 In the Council Chambers, a barrel vaulted ceiling with exposed joists and sheathing was uncovered after being hidden by drop ceilings for decades. 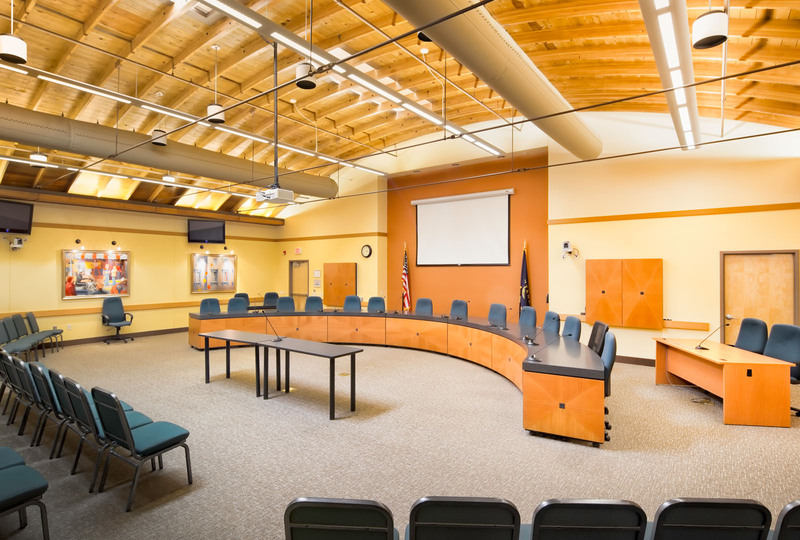 Skylights throughout the building bring in natural light.